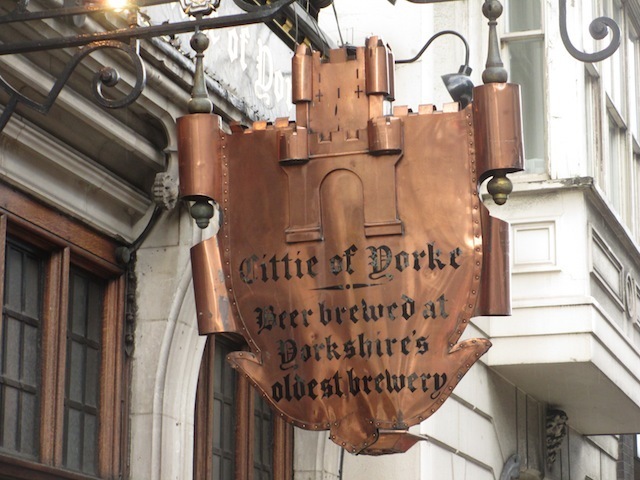 This pub was voted by Londonist readers as one of the top 10 'ye olde' pubs in London. 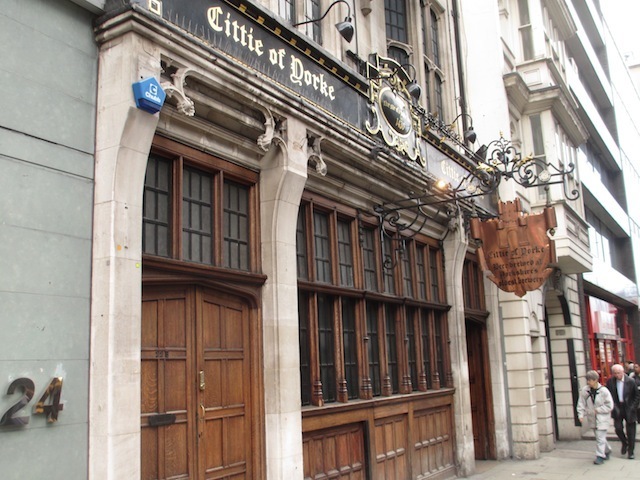 This pub was voted among the top 10 pubs in central London by Londonist readers. Firmly rooted in the Victorian, built in Edwardian times, a pub site since medieval days, and with a Tudor disregard for spelling, you’ll find a very different atmosphere in this Grade II listed wonder bar. The entrance passage leads past a small wooden bar into the main chamber, a cavernous space that wouldn’t look out of place in Bavaria. This bit's still known as the Henekey’s bar, the former name of the complex. 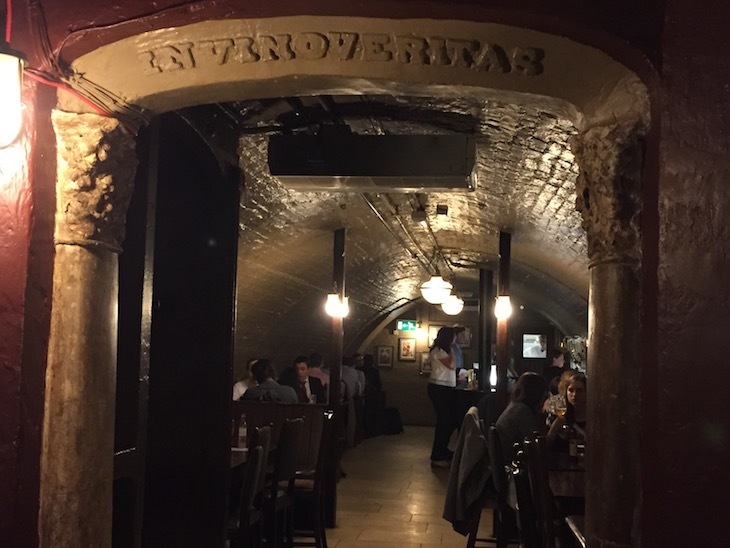 Several features catch the eye, including the cosy booths along the east wall (usually taken by lawyers from the adjoining Gray’s Inn), wooden beam ceiling, and the great iron fireplace in the centre of the room — noted as a bit of a mystery as far back as 1962 in Geoffery Fletcher's The London Nobody Knows. Many people know this place today, and it's often standing room only in the main bar. If it’s open, be sure to explore the ancient basement space as well. It has its own bar. On rare occasions, a semi-secret beer garden is opened at the back. This is Sam Smith’s pub, with the same old Sam Smith’s beer and food options.